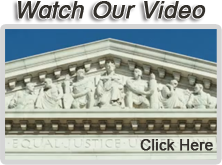 Your choosing the right lawyer can make a tremendous difference in the outcome of your matter. Our firm has an AV Rating from Martindale-Hubbell, which means our fellow lawyers and judges have given us the highest rating in both legal ability and ethical standards. We have represented hundreds of victims of sexual harassment, sexual misconduct, sexual assault, and gender discrimination. Most victims of harassment and sexual misconduct are female. About 1 in 10 of our sexual harassment clients are males, who are harassed either by a gay supervisor or co-worker, or by a female supervisor in the workplace. Victims of sexual harassment typically are humiliated and embarrassed to discuss the details of what happened to them. Female victims of sexual harassment are particularly uncomfortable confiding in a male attorney about sexual matters. At Croskery Law Offices, victims of sexual harassment or sexual misconduct have the option of speaking to a female attorney about their case. Melinda Knisley (pronounced “Nicely”) has a background in psychology. She has been helping victims of sexual harassment for the over a decade, and has practiced employment law for the past 25 years. Melinda has spoken to so many victims of sexual harassment that she can almost finish their sentences when it comes to describing the degree of their emotional distress and its manifestation in their lives, both at work and at home. That law prohibits a Company from retaliating against a person for making a complaint about sexual harassment? That many of our clients have succeeded in obtaining favorable outcomes even without corroborating witnesses? That over 50% of Melinda’s practice is devoted to helping victims of harassment? If you or someone you love in Cincinnati, Mason, West Chester, Hamilton, Batavia, or other Southwest Ohio communities; or Tampa, St. Petersburg, North Tampa, Clearwater, South Tampa, or other Central Florida communities, has suffered from sexual harassment, sexual assault, or gender discrimination, please call our law office to discuss whether we think we can help you. Sexual harassment, sexual misconduct/assault, and gender discrimination are unlawful under state and federal law. No one should have to be subjected to offensive words and conduct in the workplace. Good employers strive to provide employees with a safe working environment free from the hostility and distress that unwanted sexual words and conduct can create. Even in those rare cases where co-workers engage in a consensual relationship, the employer can be liable if the subordinate employee is pressured into the relationship by a supervisor or someone in a position of power, or becomes offended by it and suffers adverse consequences for saying “no”. Robert Croskery and Melinda Knisley double team most of their cases, with Melinda having most of the client contact until the matter is ready for trial. If you are being sexually harassed or are the victim of sexual misconduct, CALL US IMMEDIATELY at (513) 232-5297 and we will help you determine if you have a case. We pride ourselves in helping victims of wrongdoing regain their power and get justice. We take most of our cases on a contingent fee basis, which means we don’t get paid until our clients get paid. The selection of an attorney is an important decision that should not be based solely on advertisements. Please feel free to call us to discuss experiences relevant to your case. In accordance with Tax Circular 231, we are required to advise you that any federal tax advice contained in this communication is not intended to constitute a Covered Opinion and it is not intended or written to be used and cannot be used for the purpose of (1) avoiding tax-related penalties; or (2) promoting, marketing, or recommending to another party any tax-related matters addressed herein.